To stab and to burn from this day forward, for better or for worse, for richer, for poorer, in psychosis and in nightmare, to hate and to objectify, from this day forward, when death tears us apart… Marital bliss, Hatchet for the Honeymoon is not. A funky combination of Psycho and American Psycho, Mario Bava’s Hatchet for the Honeymoon is further evidence of the legendary director’s brilliance. Deviating noticeably from the giallo conventions he helped establish, and pushing his own aesthetic limits by bending old and shaping new genres, Hatchet held a special place in Bava’s heart since his marriage, like the protagonists’, was falling apart during production. In Paris, handsome, successful John Harrington owns a salon that specializes in bridal attire. Through an early voice-over, we learn that Harrington is paranoid, 30-years-old, and “completely mad”. He quickly confesses the murders of five women, three of whom are buried in his greenhouse. Harrington continues his killing spree, seeking answers with each killing for his warped mental state. Haunted by a mysterious childhood trauma, Harrington’s life unravels: his marriage is a mess, and the cagey Inspector Russell persistently inquires about his bizarre behaviors. As he slaughters more women, Harrington eventually discovers the true catalyst behind his darkest desires. What works about Hatchet is its beginning. By confessing his crimes, Harrington immediately subverts the whodunit elements of the conventional giallo film. This subversion also may disorient the viewer, producing an unsettling surprise. We discover his identity, which places the film’s attention on his psychology, and Bava uses that shift to showcase his cinematic bravado. The voice over, flashbacks, excessive zooms, subjective cameras, swift dolly shots, and beautiful visual design paint a collage that manifests Harrington’s diseased mind. And since we’re trapped in Harrington’s point of view, we feel as tortured as his victims. His early confession also triggers a monologue that explores the existential elements of his existence. He reflects upon a fly that “doesn’t ignore death”; he states, “life is a ridiculous biological accident”; and later, urges himself, “while wielding the cleaver” to “find out the whole truth”. 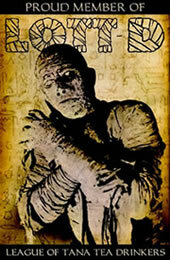 His quest is a metaphysical one that yearns to explain a childhood trauma that defines his existence, and his disease. In that sense, we may empathize with him, but his sadistic tendencies push us away. In fact, Harrington finds his psychosis amusing, and Hatchet carries swashes of black comedy, irony, and humor throughout its tightly woven 80+ minutes. The doves that inhabit his greenhouse and the soft, tranquil melodies layered throughout the film’s more pensive moments are delightfully unnerving. The irony that a handsome man like Harrington with a demeanor feminine enough to appreciate bridal attire is a psychotic murderer is painfully cruel. Since Harrington is haunted by his wife and mother, two women that carry damaging psychological baggage for him, the fact he is literally haunted by a piece of baggage he cannot discard is a clever touch. The mischievous cat-and-mouse game between Harrington and Russell also works well and adds another layer of fun tension. 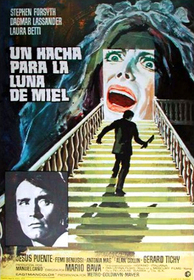 Shot in Spanish dictator Francisco Franco’s Barcelona villa, which marked a rare Bava cinematic excursion outside Italy, the film’s setting reflects Harrington’s complex psychological state. Lined with many deviating hallways, stairways, rooms, and outdoor pathways, the mansion is a labyrinth that only a maniac like Harrington could appreciate. Harrington’s marriage is a farce: he wants a divorce, and when we encounter his wife, Mildred, she rejects him, as if their marriage is her evil retribution. She then invites him to a séance. Why? To contact her dead husband, who she insists, “was a man”. Harrington emphatically states he can compete with him, a response that may reveal a hidden sexual dysfunction. This may be why he so frequently visits the two creepiest rooms in the mansion: the secret “showroom” full of mannequins wearing wedding dresses, and his childhood bedroom, replete with toys and dolls that Bava obsesses with through extreme close-ups. Both locations are refuges from the angst his wife and mother cause him. It should be no surprise when Harrington kisses and dances with the mannequins: he can only show real affection toward inanimate objects. Harrington’s relationship with his mother would make Norman Bates smile. At one point, we learn that he adored his mother, and he hears her traumatized voice whenever he kills. In fact, he inherited the business from her, and the Oedipal foreshadowing here is obvious. The many flashbacks to his childhood and the reoccurring apparition of the young boy (Harrington as a child) are reminders of his regression into childhood fantasy. The duality of Harrington’s life, one that inhabits the past and present and good and evil sides of human nature (he does protect the one model who is most attracted to him), is portrayed nicely when his face appears frequently in shadow. Harrington says, “A woman should live only until her wedding night. Love once and then die.” This statement alone should send shivers up anyone’s spine, most notably feminists, who could write dissertations about this film. Sexist stereotypes about women swing wildly in Hatchet: they are obsessed with marriage; they adore luxury and opulence; they are promiscuous and ask too many questions; and their purpose is to serve as objects for men. When he says, “Every man needs women for different reasons … (usually) to find out about himself,” we realize that in Harrington’s eyes, women serve one purpose: to satisfy his needs. They are objects to be discarded, or burned, since he disposes of their dead bodies in his incinerator. However, his wife ultimately (and ironically), has the last laugh as her ghost haunts him throughout the film’s second half. Hatchet features other strong elements, but its obsessive focus on Harrington delivers its content wisely. 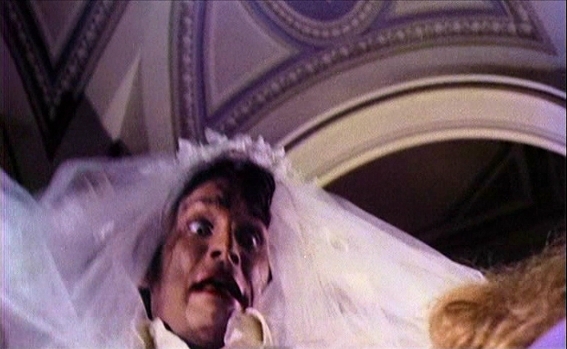 An unusual film that foreshadows Bava’s deviations from the horror templates he mastered, Hatchet for the Honeymoon is creepy, scary, unsettling, and at times, funny: ingredients that should make most horror fans smile. Submitted by Jose Cruz on Mon, 2009-11-09 09:25. A really fantastic review! This seems like an utterly intriguing movie that will definitely be at the top of my Netflix queue as soon as I sign up.